The Worldwound weeps. The living tower looms overhead. The demon Yath and his minions spread throughout the southern kingdoms. Trying times call for unlikely heroes. In The Worldwound Gambit by Robin D. Laws, the charismatic con-man Gad pulls together a band of roguish adventurers— caustic Jerisa, gentle Tiberio, haunted Calliard, pragmatic Vitta, and the mad fire magician Hendregan–to head north to face Yath and make the world safe for thieves and miscreants once again. Heroic fantasy, mystery, horror, comedy, and dashes of swashbuckling romance… Laws wraps it all around a heist. Yes, dear reader, The Worldwound Gambit is a heist novel and it is glorious! In Plague of Shadows by Howard Andrew Jones, the half-elf Elyana and her companions must race across the ravaged land of Galt, scale the Five Kings Mountains, and scour the Vale of Shadows for the cure that will save the cursed Lord Stelan. Prepare yourself, for Plague of Shadows, dear reader, is fast-paced, sword-and-sorcery at its best. The Pathfinder Tales novel Winter Witch by Elaine Cunningham and Dave Gross tells the story of Declan, a magical mapmaker, and Ellasif, a diminutive barbarian from the Lands of the Linnorm Kinds. Together, Declan and Ellasif search for a missing child and in the process discover a lot about what it means to be a hero. A veteran of shared world settings, Cunningham has written extensively in the Forgotten Realms. Her Realms work includes the Songs and Swords pentalogy, Starlight and Shadows trilogy, and the Counselors and Kings trilogy, as well as Evermeet: Island of Elves and City of Splendors: a Novel of Waterdeep (with Ed Greenwood). 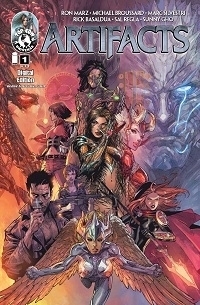 Her Realms stories were collected in The Best of the Realms, Book III: The Stories of Elaine Cunningham. She contributed Dark Journey to the New Jedi Order series set in the Star Wars Expanded Universe. Welcome to part two of our talk with Dave Gross. If you missed part one, you may want to go check out Part One first. Dave Gross continues the adventures of half-elven Pathfinder Varian Jeggare and his hellspawn bodyguard Radovan in Master of Devils. This time the oddly paired duo travel to the exotic land of Tian Xia, and Gross layers the storyline with a third narrative. Recently White Wolf launched a Kickstarter project for the V20 Companion, which is a supplement to Vampire: The Masquerade 20th Anniversary Edition. This is the first Kickstarter project for White Wolf and it looks like the V20 Companion is going to be a very cool book. We wanted to know a little more about it and posted an open call to fans to submit their questions. We’ve compiled the submitted questions and added a few of our own. Rich Thomas and Justin Achilli have taken the time to answer them for us here. A “half-breed” protagonist past his prime and his hellspawn bodyguard must find a missing Pathfinder before it is too late. Sczarni, werewolves, and a very weird witch woman… With Prince of Wolves the first novel in the Pathfinder Tales Line, Dave Gross captures the pulpy grandeur of Golarion without burying the characters under mountains of world-building. What do you want to know about the V20 Companion? Yesterday, White Wolf publishing launched a Kickstarter project for the V20 Companion, which is a supplement to Vampire: The Masquerade 20th Anniversary Edition. 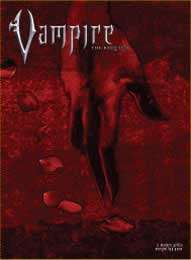 Twenty-one years ago, Vampire: the Masquerade hit the tabletop RPG market like a black-clad bolt from Hell itself and changed the way games were played forever. 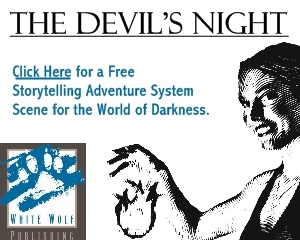 It wasn’t just about playing a game; VtM changed people’s lives and defined a lifestyle. Last year, White Wolf created a deluxe 20th Anniversary Edition to celebrate all that Vampire: the Masquerade has meant to its creators and its fans and the response was astounding. It was clear to us that the players want more classic VtM, so we began work on the V20 Companion. The Flames Rising crew wants to know more…We think you do, too. Here is your chance to help us interview Rich Thomas and Justin Achilli about the book. Jeremy L. C. Jones recently had the chance to talk to Monica Valentinelli about her role as editor of HAUNTED: 11 Tales of Ghostly Horror, the collection of ghost stories that we published late last year. 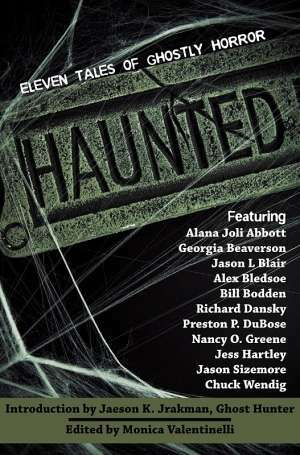 Bullet-riddled Etherometers, EMF detectors, tasers, and inconclusive footage of the spooky sort… Haunted: 11 Tales of Ghostly Horror, edited by Monica Valentinelli, features original stories by Alex Bledsoe, Richard Dansky, Jess Hartley, Jason Sizemore, Chuck Wendig, and six other writers. While there are plenty of ghosts, poltergeists, and the supernatural unknown, the stories in Haunted focus, primarily, on the ghost hunters, chasers, or investigators. One of the best things about my role at DriveThruComics.com is working with an amazing group of authors and artists that are producing some awesome comics. One of our publishers has a universe shattering series going on now and I recently had the chance to talk to Artifacts series author/architect Ron Marz about it. This interview was originally crafted for the DriveThruComics Newsletter, so I wanted to do things a little differently. I did some “crowd-sourcing” for questions from folks reading the series. I added those suggestions to my questions and fired them off to Ron. Streets of Bedlam is a pen-and-paper roleplaying game in which you play characters with histories, who’ve done bad things, who may do a few more, but who have a code they stick to, fuzzy though it may be, that guides them through life and allows them to make a difference. Everybody in this town wants something but your characters are aiming higher than most and maybe, just maybe, they’ll do some good. At the very least, maybe they’ll stop some bad from happening. Written and designed by critically-acclaimed game writer Jason L Blair, the man behind Little Fears, Streets of Bedlam will be built around the award-winning Savage Worlds ruleset published by Pinnacle Entertainment Group. In this interview I ask Jason for details about the inspirations he drew from and the characters that you play in Streets of Bedlam. Author and game designer Matt Forbeck recently announced the 12 for ’12 project, in which he will attempt to write a short novel every month in 2012. We think Matt might have gone just a little crazy, but we’re also pretty sure Matt can actually pull this off…so Jeremy LC Jones had a little chat with Matt about the project. Um, Matt, what are you thinking? I’m thinking I want to write and I want to self-publish. I’m thrilled with my current publisher, Angry Robot, but there are some projects I’d like to do that wouldn’t work with them. That’s what 12 for ’12 is all about. I’m a fast writer, so technically I should be able to handle writing 12 novels in a year, especially if they’re shorter ones like these. I’m shooting for 50,000 words each, which is what anyone participating in NaNoWriMo (National Novel Writing Month) this month is shooting for. That’s still 600,000 words of fiction in a year, but I’m pretty sure I can manage it. Escape from Zombie City (A One Way Out Novel) by Ray Wallace has been released in Trade Paperback (the eBook is coming soon!) by The Zombie Feed Press, an imprint of Apex Publications. Below in an interview with Ray by The Zombie Feed. The Zombie Feed: Who is your biggest literary influence, and why? Ray Wallace: That’s a tough one. There are so many. But if I was forced to choose just one then I guess I’d have to go with Clive Barker. The Books of Blood are still some of the best horror collections ever written. I’ve always loved the way he merges the beautiful with the grotesque. And his ability to describe utterly fantastic worlds and creatures is truly awesome at times. Whenever I read one of his stories it makes me want to sit down at the computer immediately and start writing. From aliens to zombies, historian W. Scott Poole ventures deep into the darkest shadows of American history in search of witches, sea monsters, and serial killers. Both a masterpiece of scholarship and a heartfelt homage to horror films and literature, Monsters in America is one man’s journey into the violent truths the rest of us prefer to ignore. Jeremy L. C. Jones stops by Flames Rising to talk with a self-professed “lifelong horror nerd” about America’s dirty little secrets and our sordid part in the cover up. Flames Rising is pleased to present you with a special interview, just in time for Sweetest Day! Earlier, we asked you to help us come up with interview questions for White Wolf Publishing developers Russell Bailey and Eddy Webb. We’re happy to share their responses as they dive into your burning questions about Strange, Dead Love, the new paranormal romance sourcebook for Vampire: the Requiem that debuts in early December. Thanks to everyone who commented and shared their thoughts on this sourcebook. The questions below were pulled from your feedback! Many Flames Rising readers may recognize Brea Grant from her role as Daphne on the popular television show Heroes. Did you know that the multi-talented Brea also writes comics? I recently had the chance to talk comics and acting with her for the site. We talked about her upcoming comic-related projects as a comic book writer and her new role as Cassie Hack in the upcoming Hack/Slash motion comic series. What can you tell us about your upcoming role as Cassie Hack? I will be the voice and sort of the face of Cassie in the new animated comic. We’re using animation, rotoscoping, green screen, all sorts of stuff to make it super cool and fantastic. So it’ll technically be my face but a lot of animation as well. It’s not the end of the world-it’s just zombies. B.J. Burrow is the author of a zombie novel called The Changed, which is published by Apex Book Company. B.J. also contributed stories to Apexology: Horror and The Zombie Feed Volume 1. Dave Gross is the former editor of gaming magazines including Polyhedron, Dungeon, Dragon, Star Wars Gamer, Star Wars Insider, and Amazing Stories. 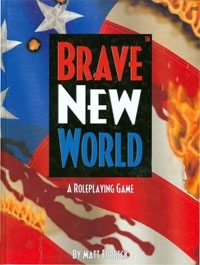 If that wasn’t enough, he’s also written fiction in a number of game worlds, including the Forgotten Realms and, most recently, Golarion, the home of the Pathfinder gaming system. His new novel, Master of Devils, releases later this month. Dave took time out of his busy schedule of writing and watching kung fu movies to chat with us about his upcoming release. 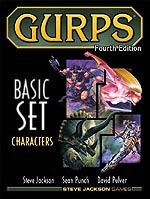 Flames Rising: You have an impressive history in editing for gaming magazines and anthologies, and a whole run of Forgotten Realms novels for Wizards of the Coast. What was the path that brought you to writing fiction for Pathfinder? Dave Gross: In 2008 I visited the World Fantasy Convention in Calgary. It was mainly a social trip to catch up with some old friends. Two of them were also former colleagues from Paizo, Director of Sales Pierce Watters and Publisher Erik Mona. Erik mentioned his plans to start a Pathfinder Tales line and asked whether I’d be interested in contributing. Already I loved what I’d seen of Golarion. To celebrate the Munchkin 10 Year anniversary, FlamesRising.com asked John Kovalic, the main illustrator for this collectible card game, to open up the floor to questions from his fans for this interview. Every question you read here was asked by a fan on John Kovalic’s Facebook page. In his own words, find out how John works on Munchkin with Steve Jackson Games, what some of his memorable experiences are, and more. As part of our continuing coverage for Steve Jackson Games Week, FlamesRising.com is happy to offer you an interview with the President of Steve Jackson Games, Steve Jackson himself. Today, Steve shares his thoughts on game design, his company and his secret role with the Illuminati. How long has Steve Jackson Games been in business? More than 30 years now. Before that, starting in 1976, I was a regular freelancer for Metagaming. Before that I was gaming a lot but not professionally. If you had to pick just one, what’s your favorite game? I don’t have to pick just one! *smiles* I like lots and lots of games, which is one reason I have been doing this for so long. James Lowder has been active as a writer and editor sine the 1980s, most famous perhaps for authoring the novel Knight of the Black Rose for TSR, and for editing the All Flesh Must Be Eaten fiction anthologies Book of All Flesh, Book of More Flesh and Book of Final Flesh. More recently, he edited the essay collection Family Games: The 100 Best, and fiction anthologies Curse of the Full Moon and The Best of All Flesh. I chatted recently with Jim via email about some of his most recently completed projects: Triumph of The Walking Dead – a collection of essays on the longrunning comics series and AMC network’s successful TV series – and Silent Knife and Strangeness in the Proportion, two novels from White Wolf publishing currently being serialized on the White Wolf web site and awaiting print publication.